really seemed to have nailed the whole logistical process for these events. It still requires a good few hours of prep - but this stuff really pays off on the day. Before an event of this scale we meticulously plan the logistical operation of getting 800 Boomwhackers handed out to everyone within seconds (everyone gets two each). We plan which colour Boomwhacker is going to be played where, using a big plan of the auditorium and then prepare and label everything so our team know exactly where to put everything when we arrive. It is a laborious process but it means that on the day we feel calm and organised and can concentrate on creating an amazing session of Boomwhacker magic with the client. All good! Nothing could go wrong could it? Well not quite. Don't know what the event the next day would have been like if we had all slept in the transit! One thing’s for sure – we would defiantly have exhausted all the coffee at the venue! But fortunately we arrived the next day refreshed and ready to go! The Boomwhacker session was an absolute cracker – it always sounds fantastic in a theatre auditorium, as these venues are designed to create good acoustics. The message for the Boomwhacker Session was ‘As one team we are stronger’. The delegates definitely showed their strength as one complete team. As a result of everyone participating, a complex piece of rhythm music was created within minutes. It is amazing to witness what can be achieved with the Boomwhackers when a really big group all work together. Great things really can be achieved when everyone participates - as one team, people really are stronger! Special thanks to Gemma McGrattan from Synergy Creative for a wonderful testimonial from the event and for being a great person to work with on this project! Thanks to my team - Justine, Barry and Laura and Zoe who made such a great Unbeatable Energy team. Special thanks the fantastic Steve at the Premier Inn Swindon who was so helpful and accommodating in a moment of crisis – and also to Zoe and her very useful Ipad for browsing laterooms.com! 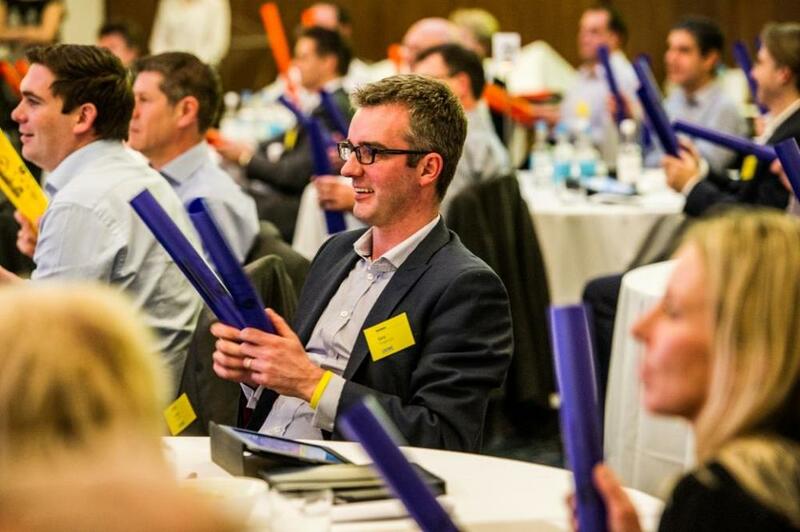 Create a fantastic Ice Breaker for your next big conference event with Boomwhackers.